The resulting entry should look roughly like the following screenshot. 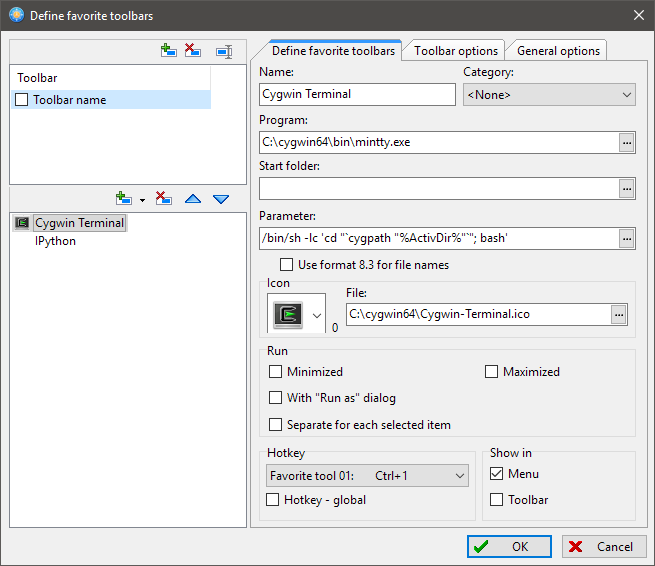 If you have configured a hotkey for the program entry (here: Ctrl–1), pressing it will open a new Cygwin terminal, with the current working directory set to the currently active directory pane within FreeCommander. If desired, you could even replace the default Ctrl–D for opening a Windows command prompt with this favorite entry.